New Delhi [India], Mar 26 (ANI/NewsVoir): EvoWood, a wood engineering company, has won the globally renowned Red Dot award in the Product Design 2019 category. EvoWood won this coveted award for EvoLlae, 3.5 mm thick solid wood sheets, which was adjudged the winner for its outstanding design by the prestigious jury of Red Dot. 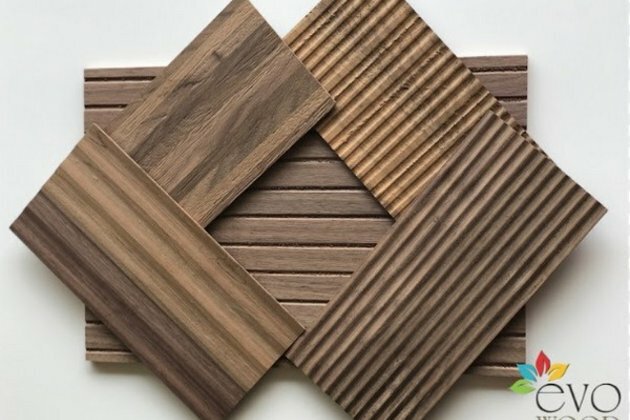 EvoWood is the first brand globally to introduce unique 3.5 mm-thick solid wood sheets, known as EvoLlae. These sheets are a blend of aesthetics and versatility and come in various designs and different species of wood. EvoLlae sheet itself is a solution for all types of manifold interiors and spaces and can be used in applications for wall panelling, ceilings, floorings, cabinetry, doors, door frames, steps, table tops and more. "I would like to congratulate the laureates sincerely on their wonderful success. The fact that their products were able to satisfy the strict criteria of the jury bears testimony to their award-winning design quality. The laureates are thus setting key trends in the design industry and are showing where future directions may lead," said Professor Dr Peter Zec, Founder and CEO of Red Dot, in reference to the winners. The Red Dot Award: Product Design is one of the world's largest design competitions. In 2019, designers and manufacturers from 55 countries entered more than 5,500 products in the competition. The international jury comprises experienced experts from different disciplines and has been convening for more than 60 years in order to select the year's best designs. During an adjudication process that spans several days, they try out the products, discuss them and ultimately reach a well-founded decision regarding the design quality of the entries. True to the motto "In search of good design and innovation", their assessment focuses on criteria such as the level of innovation, functionality, formal quality, longevity, and ergonomics. "Red Dot award comes as a validation of our inherent belief in wood as a prime and versatile medium to elevate and enhance our surroundings. EvoLlae is going to help the industry in the execution of this endeavour in the most efficient and environment-friendly manner," said Founder and CEO, Atul Marwah.